Use the links to navigate each insects page and learn more about how you can protect yourself against these pests. Ants can be a nightmare on paths around your home and in your yard. 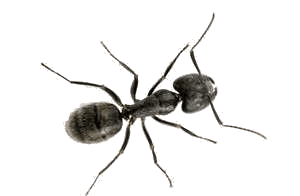 We can help you deal with all ant issues at your residence. 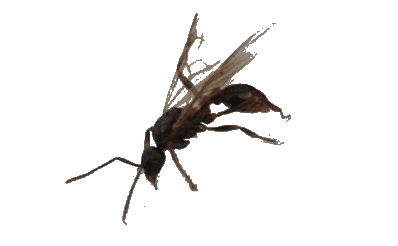 Winged ants can be carpenter ants, pavement ants, moisture ants, cornfield ants etc. Watch out.. they love sweets and will feed on any sugar left unprotected. They also love wood and can cause decay to your home’s structure. The kitchen culprit! Cockroaches will find their way into most food establishments, as well residential homes and businesses. As their name suggests, pavement ants usually make their homes under sidewalks, driveways, building slabs, and large rocks. In early spring, colonies attempt to conquer new areas and often attack nearby enemy colonies. These result in huge sidewalk battles – very cool to watch if you are 5 or 75 years old! During the summer time the pavement ants dig out the sand or soil below the pavement to vent the nests and to make room to lay eggs. Pavement ants are dark brown in colour and measure 2.5 – 4 mm in length. Pavement ants will eat almost anything, including insects, seeds, honeydew, honey, bread, meats, nuts, ice cream and cheese. 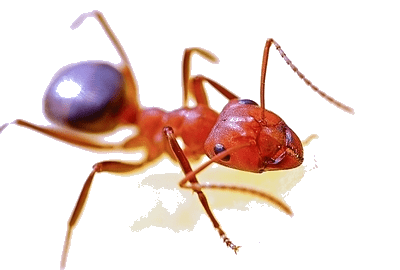 How can I prevent pavement ants? One of the best and oldest tricks for getting rid of ants requires nothing more than boiling water! When pavement ants begin to form sand piles in the yard, on the sidewalk or patio, boiling water is a great way to slow them down! Pour the water directly over the pile of sand. Pavement ant colonies can number 100,000 so although boiling water will slow them down, you will be winning only the battle, not the war. Most ant species contain winged reproductives within their colony that emerge only for very short periods of time in spring or early summer. These winged “swarmers” are usually an indication that a colony is healthy and well established – a good reason to have a professional address the situation and determine an optimal treatment method. Female moisture ants are 5/16 inch long, thickset and honey coloured. Winged male moisture ants are 1/8 inch long, slender and black. The workers are 1/8 inch long and reddish in colour. Moisture ants like the damp and will usually nest in rotting wood. Moisture ants love sweets and will often come into homes to feed on any sugar left unprotected. Because they inhabit wood, they can cause decay in a persons home as their tunnelling will weaken a homes structure. Moisture ants feed on dead and live insects and plant sap. Ant colonies are started from a single pregnant female (queen) and can grow up to several thousand individuals over time. During the summer and fall, reproductive ants (males and queens) are produced by the colony and it is at this time that you will see the ants swarming for about 2 to 7 days. Got pavement ants everywhere? We are your Vancouver Pavement Ant Control experts. A common misconception about ants is that winged ants are a species separate from all other ants. 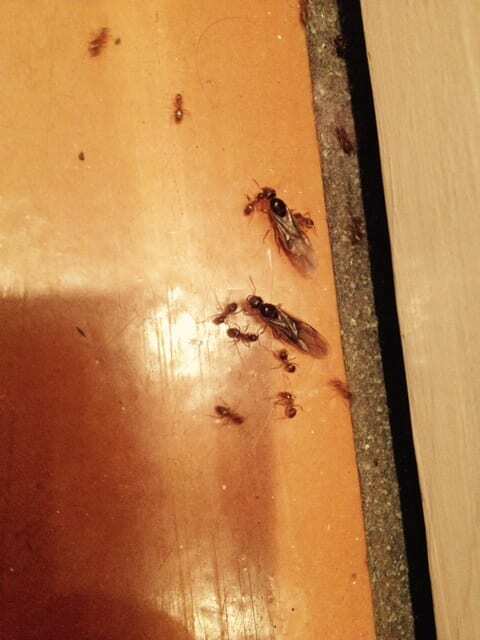 Every type of ant has reproductive swarmers (or winged ants) in it’s colony and every ant colony “swarms” once a year. 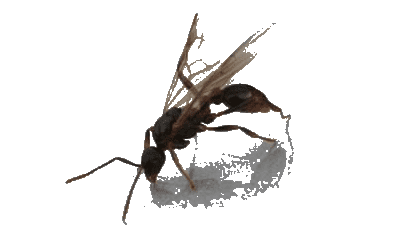 Winged ants can be carpenter ants, pavement ants, moisture ants, cornfield ants etc. An ant swarm is a collection of the reproductive males and females only (reproductives are the only ants with wings in a colony). After mating, the males drop dead and the females fly on to try and establish new colonies. In addition to restaurants and other food establishments, cockroaches can be found in residential homes and even businesses without stored food products. The German cockroach is most prevalent in the Lower Mainland. They can be found in kitchens, pantry closets, bathrooms and appliances. Excellent sanitation is a very important part of eliminating them from any home or establishment. In addition to our treatment programs, we will provide specific recommendations that will help you eliminate the cockroaches from your home or facility. With our super simple service we can take you from getting a quote, right through to being in your new home treating the infested areas. Call today to get rid of those pesky insects! 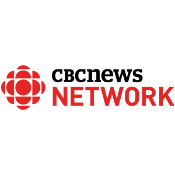 Mike speaks to CBC’s Rick Cluff about Pavement ants in your home at 2:41.00 of the podcast. After a few simple questions, free estimates can be given over the phone for insect control in Vancouver and the rest of the Lower Mainland. Call the Vancouver Pest Control experts now at 604-559-9060 or contact Westside Pest Control by email.